“Our mission was clear,” intones the new trailer for Syfy’s upcoming adaptation of George R.R. Martin’s sci-fi horror novella, Nightflyers. “Make contact. Bring back solutions for our dying planet.” You ain’t fooling us, Nightflyers—we can tell that your real mission is to scare the hell out of everyone. It’s a lot shorter than the trailer we saw back in July at San Diego Comic-Con, but it definitely goes right for that fright-induced adrenaline jolt. 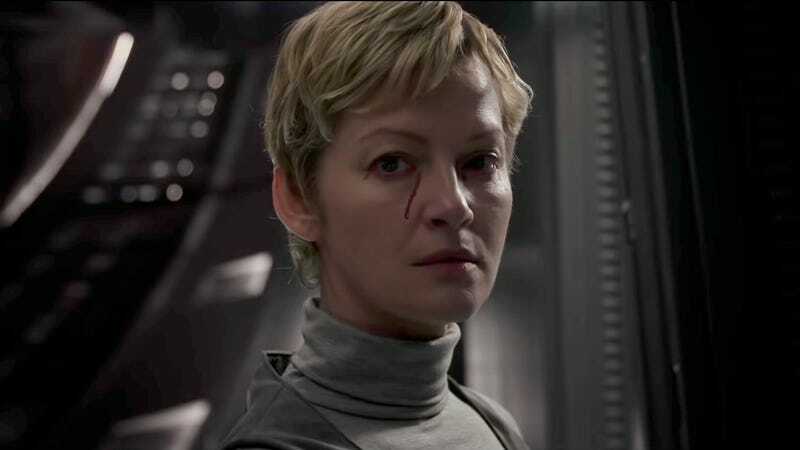 We also learned today that Nightflyers, which consists of 10 episodes total, will have a fairly unusual release strategy. Similar to how the network rolled out 12 Monkeys recently, the premiere of Nightflyers will be Sunday, December 2, followed by a new episode every night through Thursday, December 6. The remaining episodes will then air Sunday, December 9 through Thursday, December 13. Syfy will also air weekend marathons on all its platforms for fans who prefer more binge-oriented viewing experience.